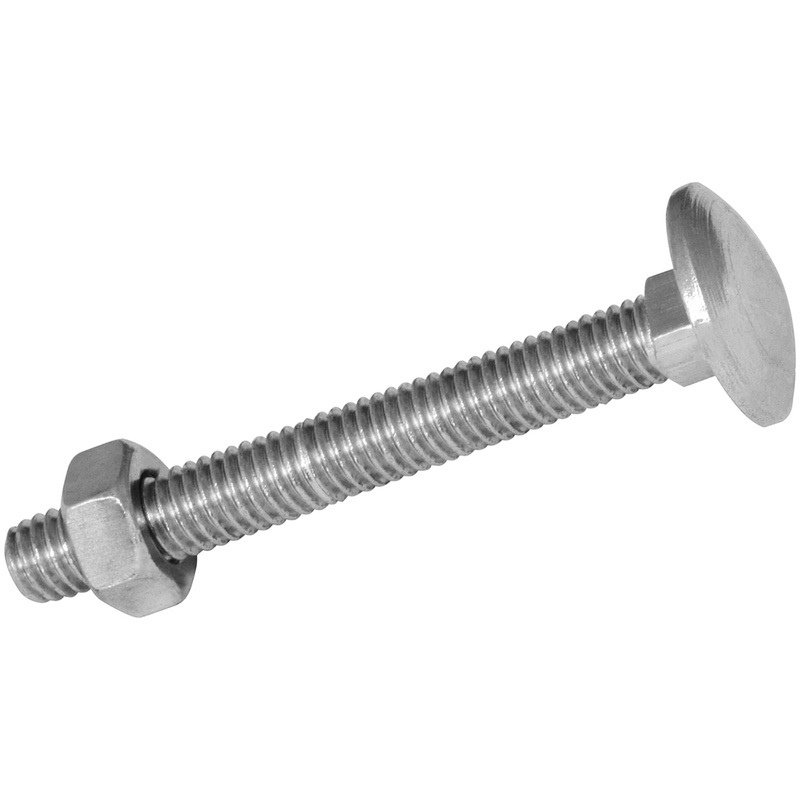 Versatile fixings for low load bearing applications. Square neck prevents twisting when used in timber. Coach Bolt & Nut M10 x 110 (10 Pack) is rated 4.8 out of 5 by 143. Rated 5 out of 5 by Woodboy from Great value Excellent value coach bolts - you can pay this much for never mind 5! Rated 5 out of 5 by Malc 23 from Coach Bolts Used these on my raised decking and the work a treat. Would definitely recommend them. Rated 5 out of 5 by steve50 from boltastic A great product and a great price.